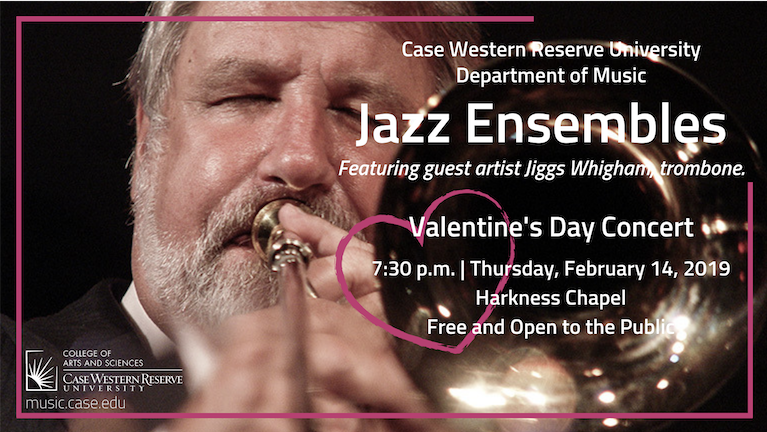 An exciting opportunity to see the incomparable trombonist Jiggs Whigham. Catch a bite before the concert at one of the outstanding restaurants in University Circle or nearby Little Italy. The best date night in Cleveland! 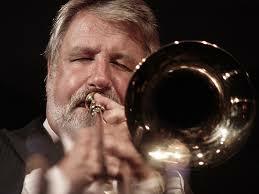 Jiggs Whigham | Born in Cleveland, Ohio, he began his professional career at the age of 17. 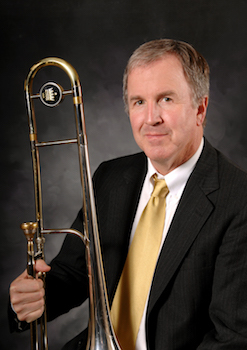 Jiggs is an internationally acclaimed trombonist, bandleader, and educator. This versatile performer, born Oliver Haydn Whigham III (the nickname Jiggs was given by his grandfather) in Cleveland Ohio on 20 August 1943, first came to the attention of critics and fans at 17, as a featured soloist and first trombonist with the Glenn Miller Orchestra, directed by Ray McKinley. Two years later, he was first and solo trombonist with Stan Kenton. Following a year of studio and Broadway Musical engagements in New York, he became featured soloist with the Kurt Edelhagen Jazz Orchestra at the West German Broadcasting Company in Cologne, Germany in 1965. In 1966 his was awarded 1st Prize at the first competition for Modern Jazz in Vienna. He uses Bonn, London, and Cape Cod as home bases, In 1979 he was named Professor and Head of the Jazz Department at Cologne University College of Music, the first appointment of its kind in Germany. In 1995 he was named “Professor for Life” and head of the Jazz-Popular Music Department at the “Hanns Eisler” College of Music in Berlin. From 2000-2001 he was visiting professor at Indiana University. He was bandleader of the Swiss Radio Band (Radio DRS) from 1984-1986. From 1995-2000 he was chief conductor and artistic director of the Berlin Radio Orchestra (RIAS Big Band Berlin).